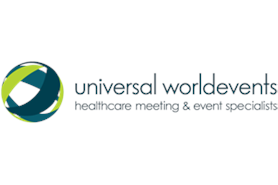 Universal World Events is targeting the Spanish market after opening an office in Madrid. Macarena Hidalgo has been appointed as general manager to head-up the company’s entrance into the Spanish market. Hidalgo previously established her own agency in Spain, which she sold to Maritz. Universal World Events managing director Graham McIntosh said: "The opening of our office in Madrid is a very significant landmark for Universal World Events which means that we now have an office in each of the five major European markets. "It puts us in a very strong position to be able to look after our existing clients and to develop new ones. It is a key step in the on-going development of our global footprint and our ability to provide clients with global reach backed up by a local service." Universal World Events has offices in G5 countries the UK, France, Germany, Spain and Italy in addition to offices in the Netherlands, US, Hong Kong and Singapore. The agency was formed following the merger of Universal Procon and World Events after United Drug acquired the latter agency in November last year.